So how do we raise up our children to be the next generation of leaders? That’s right! You are going to have to set the example for your children. I heard one mom say that if her children came out well, it was not going to be because of her good example but despite her example in front of them. Now we all know that we fail, but our goal should be setting the example for our children. We should be reading our Bibles regularly and allowing the Lord to work in our hearts and lives so that we are becoming more Christ-like. We want to glorify God in our lives! You and your husband are responsible for teaching your children as much as you can about the Bible. Note: I am not saying that this verse means that every Christian family is mandated to homeschool their children. However, God gave these children to YOU and has uniquely gifted you to raise them. Inside of your home, you should be teaching your children godly principles, whether your children are home educated, attend public or private school. At our house, my husband would call us all into the living room at about 8:30 in the evening. He would read a short portion of Scripture, we would talk about it, and then pray together as a family. This wasn’t a lengthy time period- maybe 20 minutes. Many times we would ask our children, “What did you see today that you think God had fun making? Sometimes we would ask them, “What are you thankful for today? We did this 5 nights a week, skipping Sunday and Wednesday nights as we had already had formal church services those days. There are so many wonderful devotional books and even Bible curriculums that are available today. For our homeschool we used the BJU Press Bible curriculum which is AMAZING. I appreciate the incremental way doctrinal truths are presented year by year. My children learned a lot and I did, too! Sometimes instead of reading the Bible, we would read a devotional book together. As the children got older, we encouraged them to have their own personal devotional time as well. This would be a time where they read a portion of Scripture, asked themselves, “How does this apply to me?” and wrote down how they felt God would want them to change or put this principle into practice in their own lives. When I was in 8th grade, our church had a “Read Through the Bible in a Year” Challenge. I participated and have read through my Bible many times since then! I strongly suggest that sometime between 8th and 12th grade you ought to have each of your children read through the entire Bible. If you are a Christian family, and you say that you believe the Bible, you should read it through at least once! Of course you won’t understand it all without further study, but you will certainly appreciate in a richer way God’s merciful work with His people through history. Take the challenge and read your Bible cover to cover with a one year or two year Bible reading plan. Church is a great place to have your children taught the Bible. Many churches have excellent and passionate teachers that work very diligently to teach your children on their age level the truths of the Bible. The curriculums they use are age appropriate and develop sequentially over time to lay a good foundation for Biblical and foundational principles. Corporate, or group, worship is taught in the Bible. Church is a great place for your children to: sing with others praise to God, hear godly men preach, pray as a church for God’s intervention on behalf of others, fellowship, meet and get to know others who also are trying to serve God. Note: While some churches meet for lengthy services, most churches have a Bible study or Sunday school hour and a morning worship service. Some churches also have a mid-week prayer or Bible study time. Even if you attend all of these services, your children will not get enough Bible teaching! It is up to you to teach them at home as well. Our children attended church work days with us. While their little shovel could not clean out the ditches as fast as ours could, it was important to have them work with other godly people from our church. Sometimes our children participated in ministry with others. This included singing in children’s choir, participating in Christmas or Easter pageants, singing and visiting the elderly at a nursing home. Our church is good about reaching out to others. Our children helped in Vacation Bible School, made cookies for area families at Christmas time and made food for shut-ins. I have heard of other churches that made cookies/goodies. They bake them for the local police station or fire house. They also visited at children’s hospitals and sang Christmas Carols. Christian ministry is serving others. Mark 10: 45 Jesus said, “For even the Son of Man came not to be served but to serve, and to give his life as a ransom for many.” (emphasis mine) Christ’s example of service is one we should emulate. To teach this to our children, we should give them opportunities to minister to others as they are able. We don’t go to church to be entertained but edified. If we just sit there week after week and never giving out we are not following the Scriptural admonitions to teach and serve others. What ways can you think to get your child involved in ministering to others? Youtube: Raising Christian Children Watch it now! 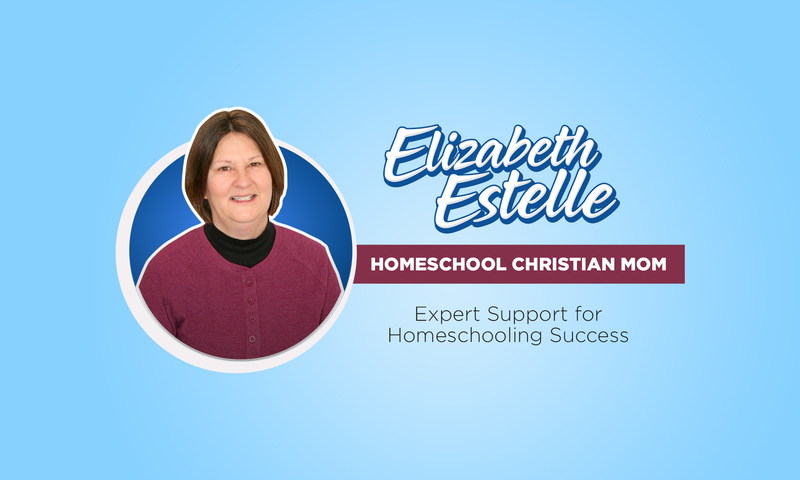 Homeschool Christian Mom Facebook group: We discuss the ins and outs of our homeschooling days and offer great ideas to help each other succeed. Previous PostPrevious Homeschool Mission Statement: Is It Necessary?